I loved the blurb of this story and I could definitely relate to Sloane and what she was going through with the breakup and her interactions with her well meaning girlfriends. I think that Sloane's girlfriends characters were hysterical because they reminded me of some of my friends when we are together. Galen came across very rough and old school with a "she doesn't fit in" attitude much like how a true Scot would towards some Americans. I can say this since I lived there and experienced what they think about some of us. I would have liked to of seen Galen's character more developed. There are parts of the book that didn't work for me because I wanted more meat to the story. It was a fun fast read but for me I would have liked more depth. 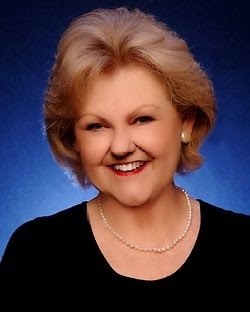 Julia London is the New York Times and USA Today best selling author of more than a two dozen romantic fiction novels. 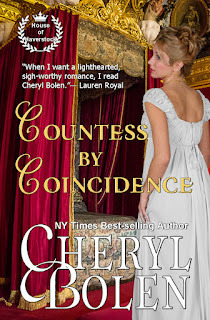 She is the author of the popular Secrets of Hadley Green historical romance series, as well as the new Cabot Sisters historical series, including The Trouble with Honor, The Fall of Grace, and The Perils of Prudence. She is also the author of several contemporary romances, including Homecoming Ranch and Return to Homecoming Ranch. Julia is the recipient of the RT Bookclub Award for Best Historical Romance and a six time finalist for the prestigious RITA award for excellence in romantic fiction. This is a lighthearted easy historical read that shows the reader how a young Rake can find himself changing when he least suspects it. John Beauclerc, the 11th Earl of Finchley loves carousing with his three best friends. The author shows that there is more depth to his character that he is unaware of but his grandmother and now shock of shocks his unexpected wife can see. There are some amusing parts in how John acts that will crack up the reader because they will identify with someone in their life just like him. But the author balances out his character with life lessons that he needs to feel good about himself and his life. Lady Margaret Ponsby is the perfect match for Earl of Finchley in her love for him, how she treats him, their marriage and those around her. The author does a commendable job of showing a shy women trying to take command of her shyness to get the man she loves. This story is a great for all. I give it 4 STARS. Cheryl Bolen is the New York Times and USA Today best-selling author of over 20 romances, both historical and contemporary mystery. Many of her books have placed in contests, including the Daphne du Maurier (romantic suspense) and have been translated into ten languages. She was Notable New Author in 1999. In 2006 she won the Holt Medallion, Best Historical, and in 2012 she won Best Historical in the International Digital Awards and she's had four other titles place in that competition. Her 2011 Christmas novella was named Best Novella in the Romance Through the Ages. 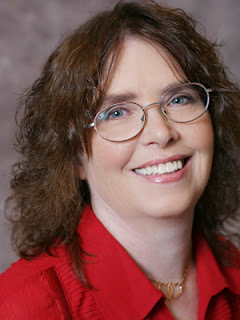 She invites readers to www.CherylBolen.com, or her blog, www.cherylsregencyramblings.wordpress.com or Facebook at https://www.facebook.com/pages/Cheryl-Bolen-Books/146842652076424.